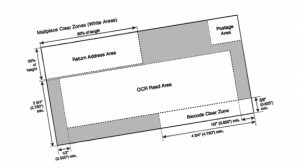 Did you know a 6″ x 6″ mail piece can cost twice as much to mail as a 5″ x 7″ mail piece? That a stitched booklet needs 3 1.5″ tabs? We can work with your designers, your agency or you to make sure you are maximizing your creative dollars. Weather it is a simple #10 envelope or a multi-element promotional piece, we can healp you realize your vision. We are fortunate to work with dozens of talented designers, ad agencies and copywriters that can make your project stand out. Remember, good creative costs no more to mail than bad creative! The opening must quickly offer or clearly imply a clear, strong benefit. If it’s funny or clever - beware. Does it give reason to buy, answer questions, overcome all reasonable objections? If not, you’ll lose sales. Is what you sell or offer clearly described? Are you using the right tone? . Do you demonstrate the benefit – give examples and compare it to alternatives? People want to know how and why you are better. Make sure you ask enough for a reply. Explain precisely what to do? Show it to a likely prospect. Ask if they understand it – and if they would buy.